Thrashing pain meets you at the forefront of your temples, and suddenly it feels like someone has continually slammed your head against concrete. It’s a migraine and the culprit can sometimes be fluorescent lighting. But what can you do? Your office is filled with fluorescent lights and that old computer you use at home isn’t helping the situation. Luckily, there are solutions to your problem, but first, let’s figure out what’s really going on with that head of yours. One of the reasons some people experience issues with fluorescent lights is because they tend to flicker, most often from age, or an outdated ballast. Yet with or without flicker, individuals suffering from sensitivity to light experience issues. For example, people who suffer from migraines due to aura or perceptual disturbance. Aura migraines are migraines with symptoms prior to the actual migraine, such as dizziness, seeing zig-zag lines, and light sensitivity. Another issue that is exacerbated by fluorescent lighting is Irlen Syndrome, an optical processing disorder. Fluorescent lights are a major trigger for sufferers of this disease. According to Irlen.com, people with Irlen Syndrome have an increased sensitivity to light which causes headaches, restlessness and trouble staying focused when confronted with excessively bright lights. Fluorescent lights emit a particular wavelength of blue light that acts as a trigger for migraine sufferers by creating a form of stress and restlessness for the brain. As stated earlier, the concerns with flickering are generally caused by magnetic ballasts, or using the wrong ballast, aging lamps or power disruption on the circuit. However, electronic ballasts generally do not have the same issue since they use a higher frequency process. Another option is changing bulbs from fluorescents to incandescents or LEDs. Incandescent lights are not considered the most energy efficient; however they are a better source of light for those with photosensitivity and migraines. Incandescents provide a steady stream of light that fluorescents do not. Also, unlike fluorescents, incandescents do not require a ballast to operate correctly. While many of the standard household bulbs are no longer being produced, bulbs previously manufactured can still be purchased and used. Since incandescent lights are not the most energy efficient option, another source for keeping your migraine misery away is using LEDs. Like incandescent lights, LEDs provide a steady stream of light. LEDs are also ecofriendly, durable, flexible with design, and of course they are long lasting. 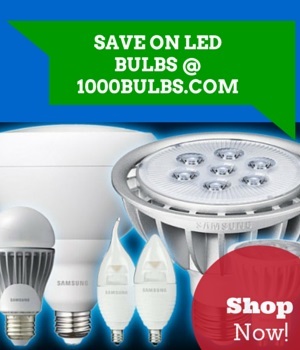 And great news, the price of LEDs is steadily climbing down, a definite plus. So, when your headaches get the best of you, consider changing your lighting system. Whether, it’s as simple as updating your ballast from magnetic to electronic or changing from fluorescents to incandescent or LED lighting, you have several options. Let your head light the way. Did we miss something, or do you want to share your story about migraines and lighting? You know the drill, leave us a comment, or drop us a line at Facebook, Twitter, Google Plus, Linked In, Instagram or Pinterest!